The nIR HEG headset (H. Toomim) is used to increase circulation to the pre-frontal areas of the brain with nIR (near infrared spectroscopy). 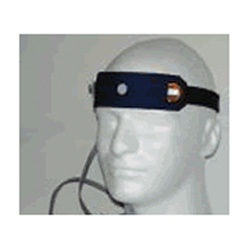 Whether using a Optima+, Q-wiz, X-wiz, Peanut or Pendant, nIR HEG training uses the same nIR HEG headband. Warranty: 12 months conditional. Customer pays shipping both ways for repairs. We declare that the nIR HEG headset is sold for personal training, education and scientific research and is not a medical device.